7.6 out of 10 based on 187 verified user reviews via Agoda. 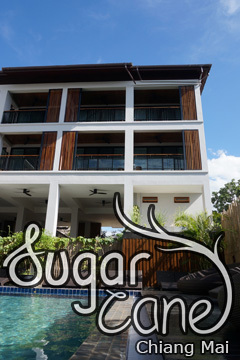 Huarn Jana Boutique Resort is perfectly located for both business and leisure guests in Chiang Mai. Offering a variety of facilities and services, the hotel provides all you need for a good night's sleep. 24-hour front desk, Wi-Fi in public areas, car park, airport transfer, meeting facilities are just some of the facilities on offer. All rooms are designed and decorated to make guests feel right at home, and some rooms come with internet access - wireless (complimentary), non smoking rooms, air conditioning, heating, wake-up service. Enjoy the hotel's recreational facilities, including outdoor pool, massage, pool (kids), garden, before retiring to your room for a well-deserved rest. A welcoming atmosphere and excellent service are what you can expect during your stay at Huarn Jana Boutique Resort. Huarn Jana Boutique Resort - Chiang Mai classifies itself as a 3 star hotel.